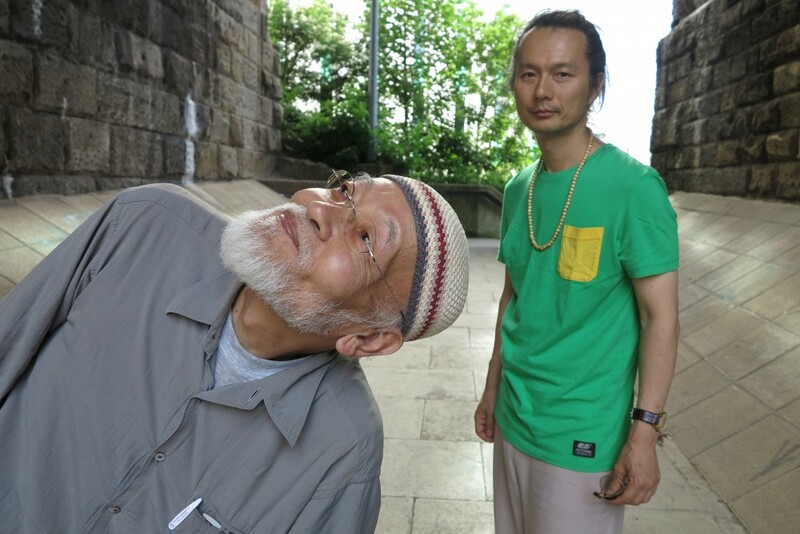 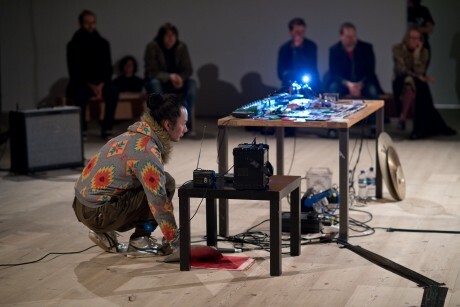 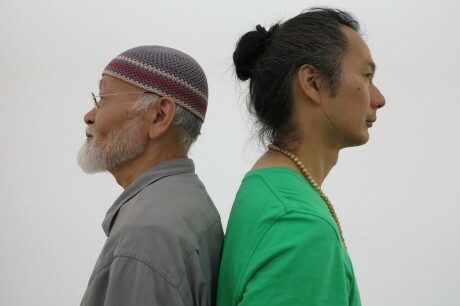 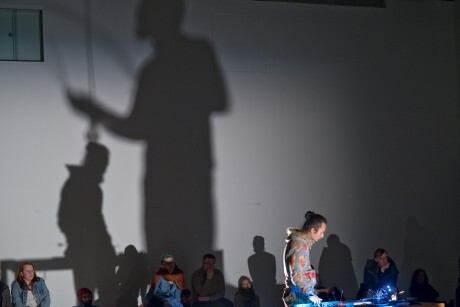 The second live performance by Akio Suzuki is a duo with fellow artist Aki Onda. 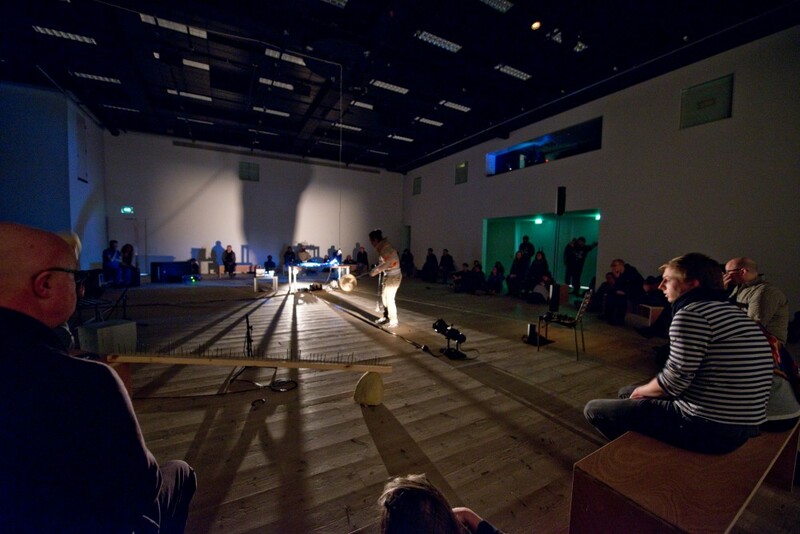 This extended durational performance responds to the acoustic architecture of the performance space, with the audience free to move around. 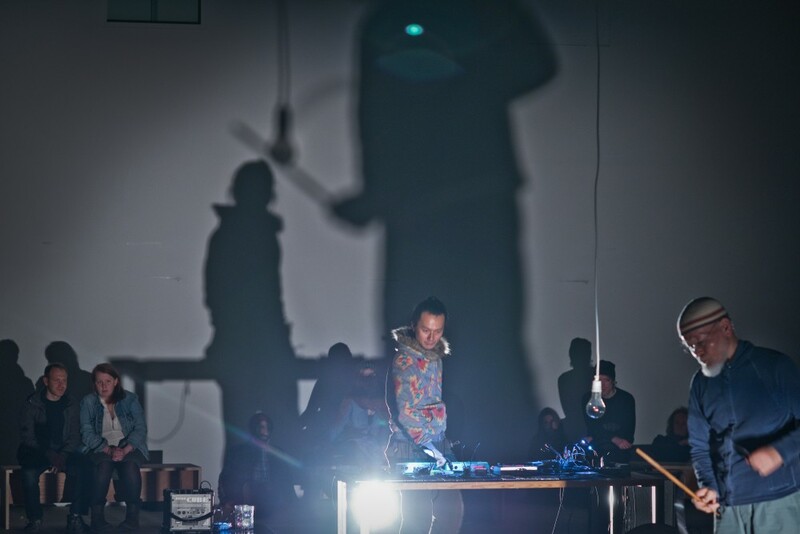 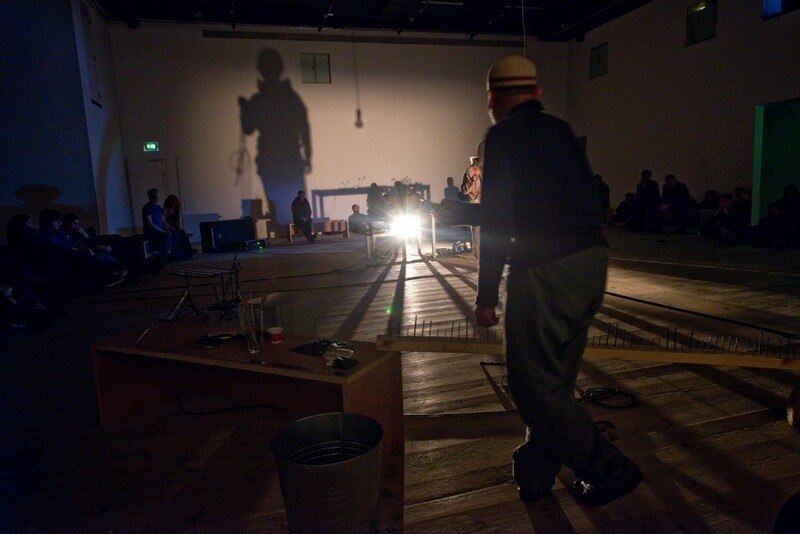 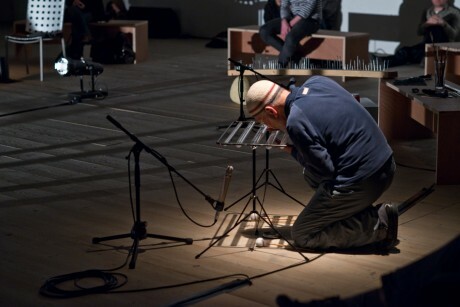 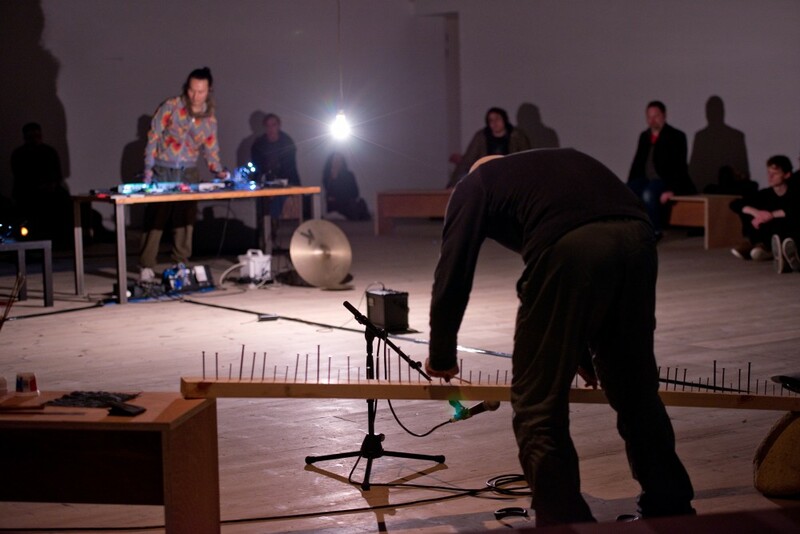 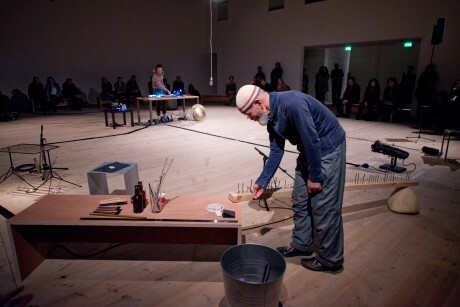 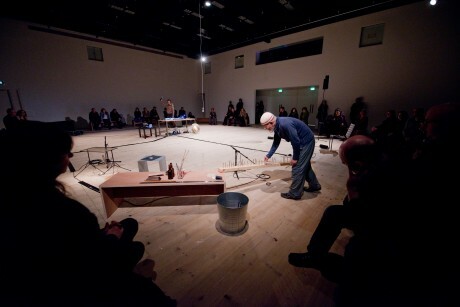 During this unique performance the artists change the position of the sound sources they use throughout the space. 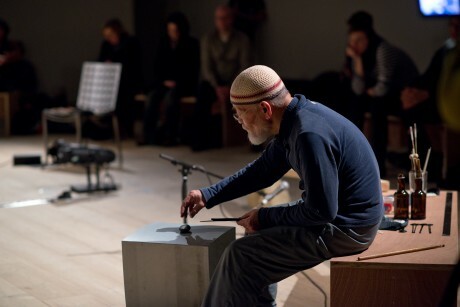 Suzuki performs with his range of self-made acoustic instruments, and Onda performs with the cassette Walkman as a musical instrument. 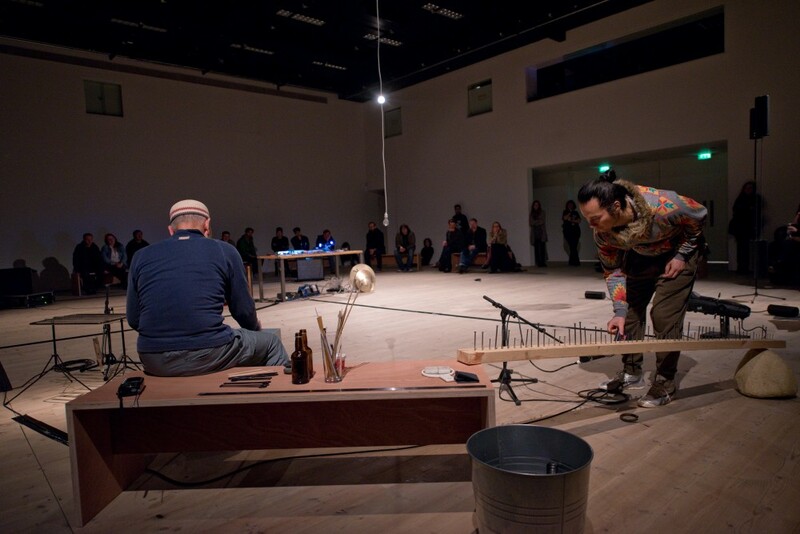 Both artists extract the essence of past memory and ancient time through their accumulated performance rituals, present in the spirit of the materials used: cassette tape, stone, glass and metal. Akio Suzuki also presents a solo exhibition, solo performance and oto-date project during the Festival.